This project is investigating the outcomes of cash-for-care reforms for care workers though a case study of Australia's NDIS in a comparative context. 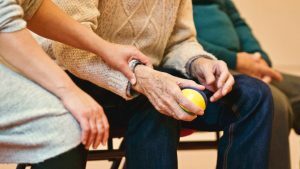 The provision of social care to vulnerable people is undergoing major change with the introduction of individualised or cash-for-care funding. Under these arrangements money for care is allocated directly to people to purchase their own services. Cash-for-care changes the organisation of paid care work in ways that pose significant risks for workers and for the development of sustainable social care workforces. This project will examine outcomes for care workers under cash-for-care. This will be achieved through a case study of Australia’s National Disability Insurance Scheme in a comparative context. The project aims to identify regulatory strategies for creating quality work for paid care workers in flexible, high-quality care systems.